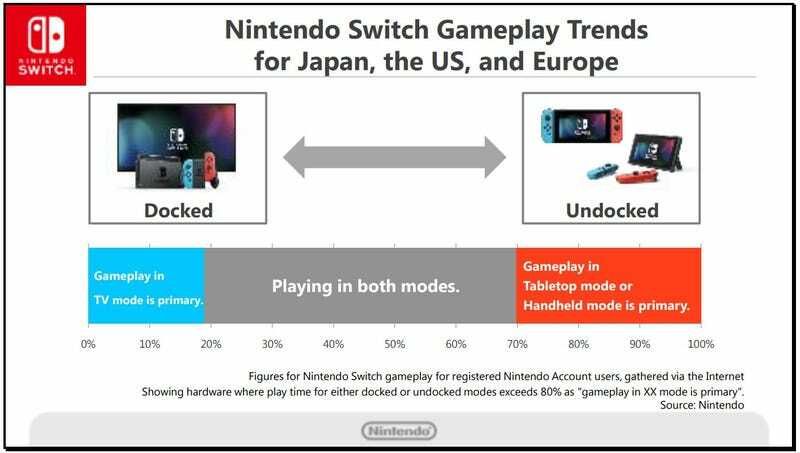 More people “primarily” play the Switch in undocked mode than on the TV, Nintendo said in a presentation today. 30% of players use handheld or kickstand mode more than 80% of the time, 18% play on the TV 80% of the time, and the other 52% are true switch-hitters. What kind of Switch player are you?